Mercedes boss Toto Wolff believes Sebastian Vettel would have won the U.S. Grand Prix had he not collided with Red Bull’s Daniel Ricciardo on the opening lap. Vettel was sent into a spin after hitting Ricciardo as they battle for fourth place. 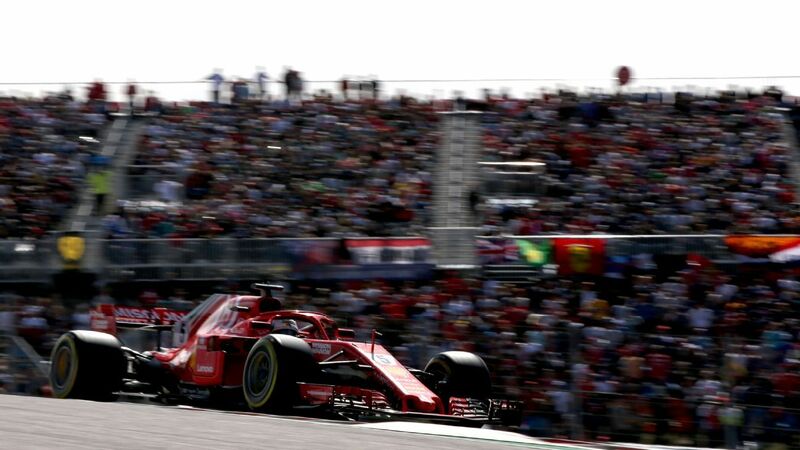 The Ferrari driver was able to recover to finish fourth, overtaking Valtteri Bottas on the penultimate lap, to keep his very slim title hopes alive. With Vettel’s teammate, Kimi Raikkonen, taking the win, Wolff believes the four-time champion would have been right in the mix for the 25 points had he not had contact with Ricciardo. « I think, imagine Sebastian not spinning out on lap one, I think he would have probably won the race easily, » Wolff said. « It’s stressful, the drivers’ championship, we’re in a solid position, but I always said we mustn’t drop the ball. We’ve seen that in the past with other teams, and with the constructors’ championship, that is very important for the team. Mercedes struggled for pace at the Autodromo Hermanos Rodriguez last year, which play hosts to this coming weekend’s Mexican Grand Prix and Wolff says Mercedes’ struggles in the race in Austin is a cause for concern going into Mexico.